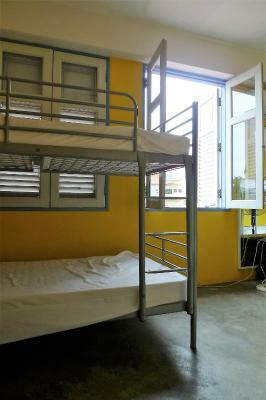 In general the hostel was nice with friendly staff, very good breakfast and a big common area! However, we did not have a good experience because of the bugs and the man who was smoking. Reception manned 24/7, Tom was very helpful as I arrived after midnight, provided me with new sheet, pillow case and blanket.... Provided towel... Breakfast was included with unlimited tea and coffee. It took about 15 minutes from the airport by taxi. And the reception is open for 24 hours, so it was so helpful cuz I arrived at Singapore around 1 a.m. and then I made a reservation. The location is a bit tricky to find as 'The Green Door' is sandwiched between pubs. There are no lifts so you need to carry your luggage up the stairs. It is not wheelchair-accessible. 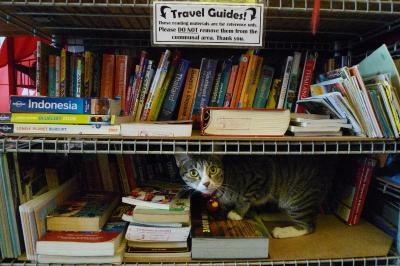 The staff was very helpful. 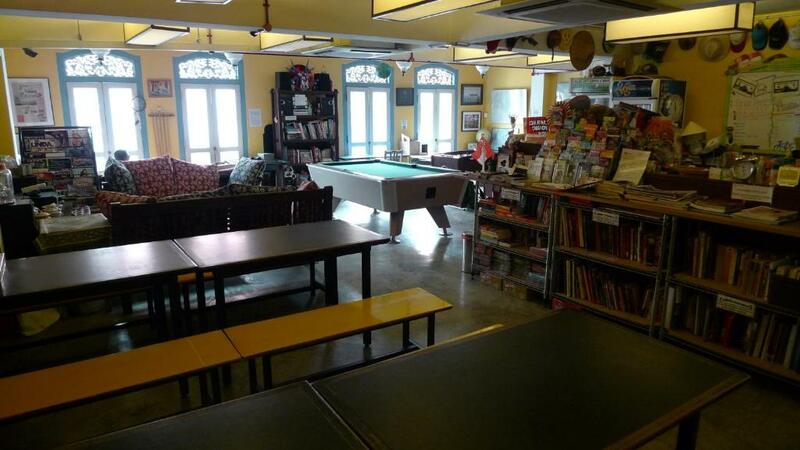 Big common area with lots of books, games, tables etc. The room was pretty spacious and the bed was comfortable. Staff were nice and helpful. Good information about arriving from the airport which I always appreciate. One of our bestsellers in Singapore! 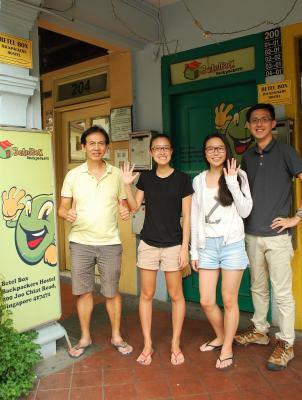 Nestled within the culturally-rich Joo Chiat area, Betel Box Backpackers Hostel offers accommodation in a traditional restored shophouse that is reminisce of the 1920s. 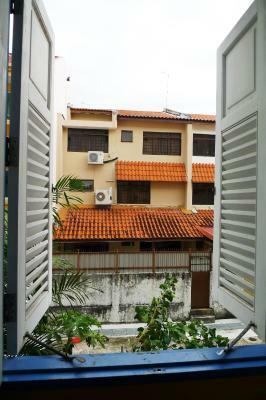 It an 8-minute walk from the Geylang Serai Malay Village Market. 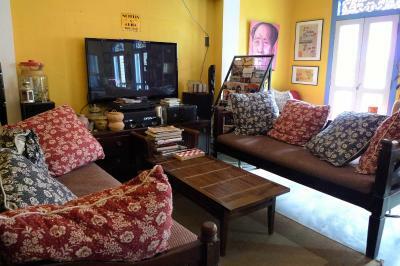 Housed in a restored Singaporean traditional shop-house, it features a restaurant, free WiFi in the common room and a resident cat named Whisky. The nearest bus stop is a two-minute walk, where guests can take Bus 33 to the city. 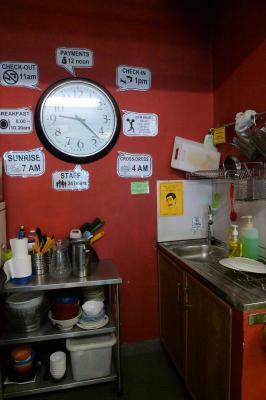 Backpackers Betel Box is a 15-minute walk from Paya Lebar MRT Train Station. It is 0.7 miles to One KM shopping mall. The nearest airport, Changi International Airport is a 20-minute drive from the property. 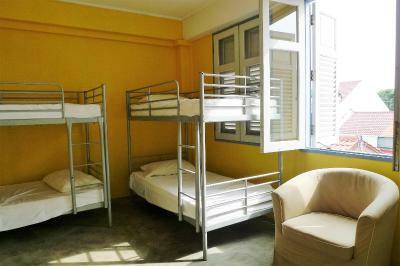 Simply furnished, the air-conditioned dormitory rooms have large windows that provide natural light. 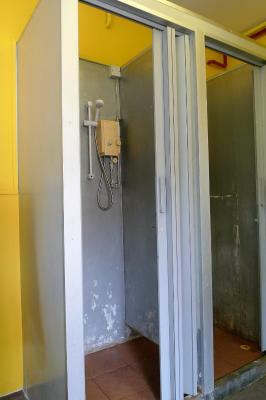 Shared bathroom facilities and lockers are available outside the rooms. Guests can approach the 24-hour front desk for tour arrangements and ticketing services. Recreational choices include relaxing in the cosy lounge area, which has a pool table, a selection of board games and a well-stocked library. The property offers bicycle/kick scooter rentals for guests who wish to explore the surrounding area. Laundry services are available at a surcharge. A variety of local dining outlets are located within a 5-minute walk from the property. 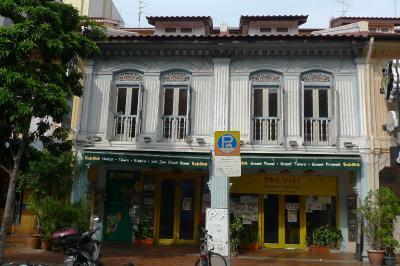 Katong is a great choice for travellers interested in culturally diverse food, food and tourist attractions. 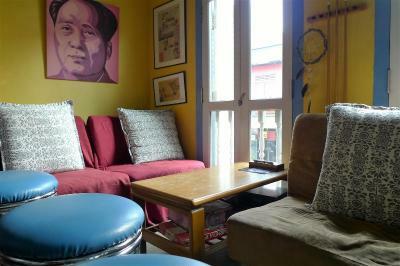 Betel Box Backpackers Hostel has been welcoming Booking.com guests since 15 May 2012. 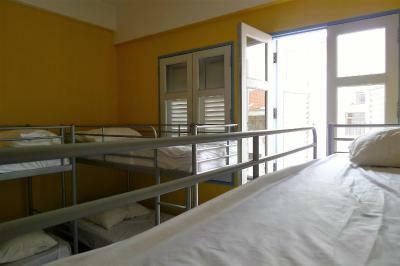 When would you like to stay at Betel Box Backpackers Hostel? 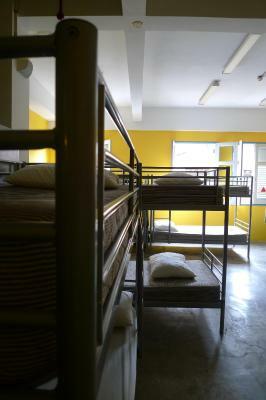 Air-conditioned female dormitory room can sleep up to 8 guests in bunk beds. Rate is for 1 female guest only and includes a self-service Continental breakfast. Bathroom facilities are shared. Complimentary coffee/tea making facilities are available. 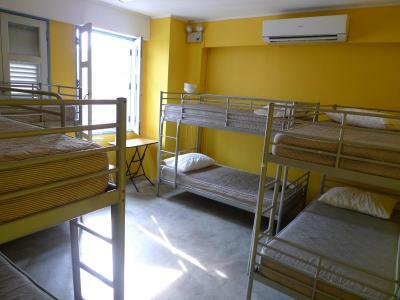 Air-conditioned mixed dormitory room can sleep up to 8 guests in bunk beds. Rate is for 1 guest only and includes a self-service Continental breakfast. Bathroom facilities are shared. Complimentary coffee/tea making facilities are available. 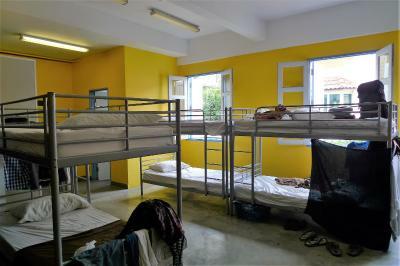 Air-conditioned mixed dormitory room can sleep up to 6 guests in bunk beds. Rate is for 1 guest only and includes a self-service Continental breakfast. Bathroom facilities are shared. Complimentary coffee/tea making facilities are available. 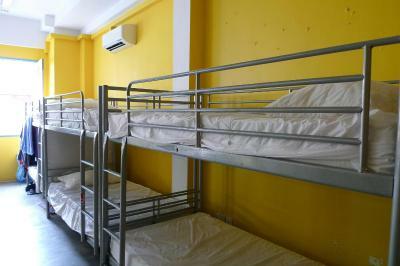 Air-conditioned mixed dormitory room can sleep up to 20 guests in bunk beds. Rate is for 1 guest only and includes a self-service Continental breakfast. 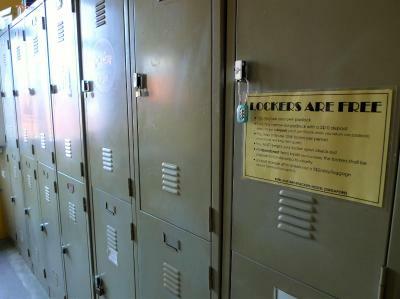 There are lockers provided and 3 shared bathrooms. Complimentary coffee/tea making facilities are available. Betel Nut: an addictive spice, central to Asian hospitality, it is used in traditional ceremonies as well as a social bonding aid by almost all Asian cultures represented in Singapore – Chinese, Malay, Indian, Peranakan and Eurasian. A Betel Box is a container for Betel Nuts and the assorted tools and ingredients related to its consumption. 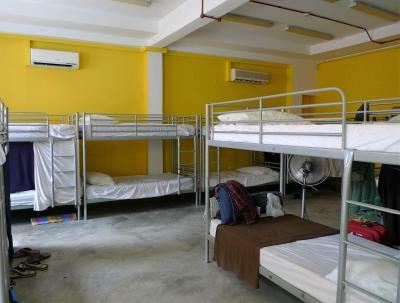 Located on Joo Chiat Road, "Betel Box" is the fruition of our experiences of hostelling, backpacking and budget travelling around the globe and meeting like-minded travellers. It embodies that we want in a backpackers’ hostel: friendly, respectful, addictive, aesthetically pleasing, functional and representative of all cultures in Singapore. 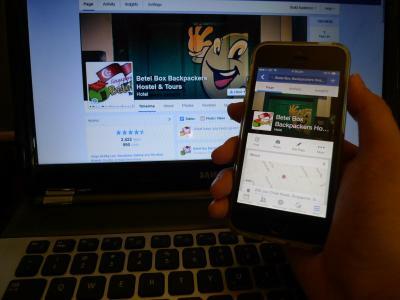 "Live Like A Local" at Betel Box Hostel along with its creature comforts, easy reach to all parts of Singapore and in a culturally rich part of town! 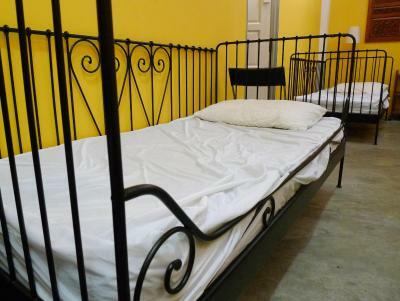 Who says budget accommodation in Singapore means budget service? And oh, you get to enjoy our Stimulating Company! Property surroundings – This neighbourhood is a great choice for travellers interested in culturally diverse food, food and tourist attractions – Check location Good location - show map Guests loved walking around the neighbourhood! 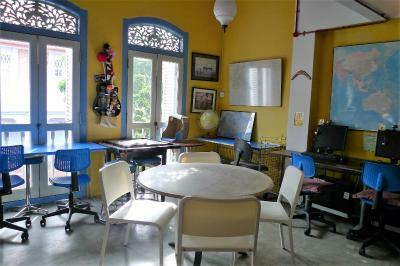 House rules Betel Box Backpackers Hostel takes special requests - add in the next step! 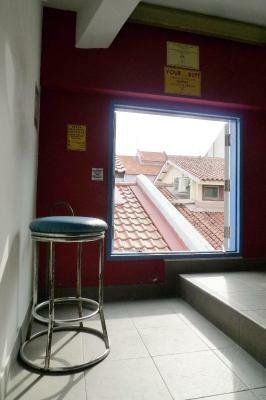 Betel Box Backpackers Hostel accepts these cards and reserves the right to temporarily hold an amount prior to arrival. In efforts to remain eco-friendly, air-conditioning in all dormitory rooms are switched on overnight between 19:00 to 11:00, while the windows remain open during the day to let in fresh air. Air-conditioning is available 24 hours in the common room. Please note that the hotel accepts only cash payment upon check-in. 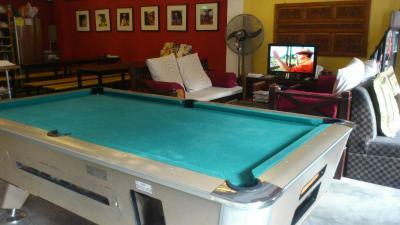 The hostel conducts award-winning tours and activities weekly, for a minimum of 8 guests. Guests who wish to use this service are kindly requested to inform the property in advance. Contact details can be found on the booking confirmation. Guests who have already checked in and require to shorten your length of stay must inform the partner at least 2 days in advance, or full payment for the original booking will be forfeited. Please inform Betel Box Backpackers Hostel in advance of your expected arrival time. You can use the Special Requests box when booking, or contact the property directly with the contact details provided in your confirmation. I arrived at 3am after a flight and very long 12hrs of travelling and had to make my own bed when I arrived. It was a 20bed room and the middle of the night, I felt like a jerk making noise having to put sheets on the bed. They were also blasting AC in the night and the room was freezing cold. The girl working at reception in the morning was incredibly helpful and polite ! Absence of air refreshers in rooms to neutralize unexpected social odors that may emanate during sleep hours. 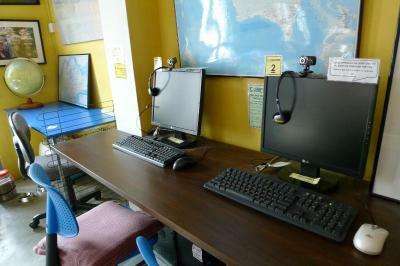 Internet available in only in reception/common room (probably to promote socializing with one another..... :).. It's a perfect stay for backpackers! Staff was so friendly, helpful & easy going. 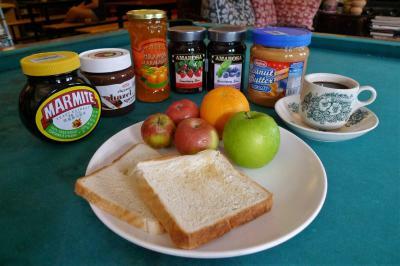 Free breakfast included both fruit & peanutbutter beside the regular jam & toast. Possible to keep things in the fridge, free shelf to leave food you don't want any more, bookswap, pooltable, social area, linen & blanket included. For my standrards this was a perfect hostel. The sheets had stains from bed bugs on them, however the staff ensured us that there were old. We did not want to take a risk so the staff uppgraded us to a better room without extra cost, which was very nice. But in the evening we discovered small jumping bugs in our new beds :( Furthermore, there was a man sittning by the window smoking something the entire evening/night which made us feel very unsafe! A bit dusty bed, otherwise comfortable enough. Great staff, nice convenient location. What is there not to Like..? It was not so clean. Especially the third floor. It’s good enough just to sleep. Smell of alcohol everywhere and many drunk people inside, very basic bathrooms, zero chance for privacy, busy environment in and outdoors. Their shower facilities sucked. One was unusable and the other was in the kitchen where all the women sat. Not good for a shower. Bathroom is not great. WiFi only works in the common room. Seemed to be a lot of long term guests living there which makes for a strange vibe mixed with the backpackers and travellers.